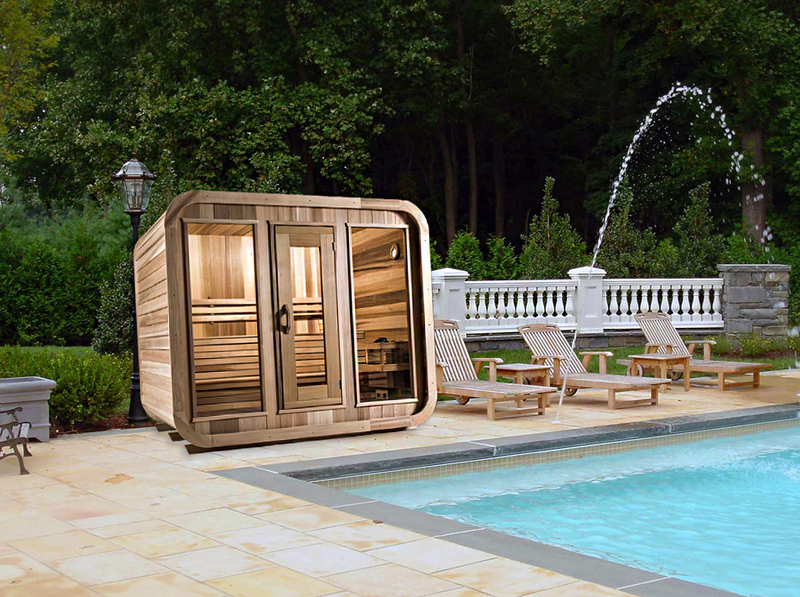 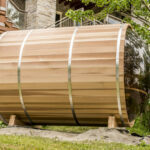 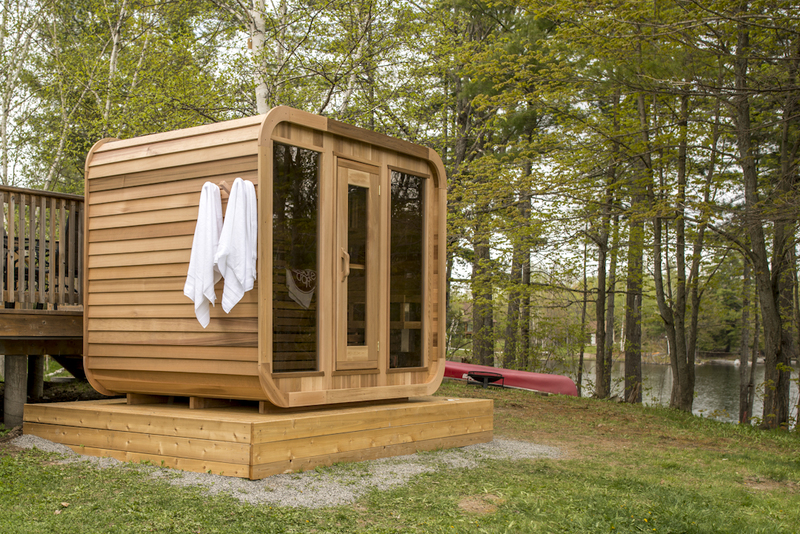 This modern looking unique outdoor sauna is perfect for your home, cottage or cabin. 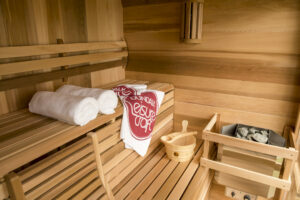 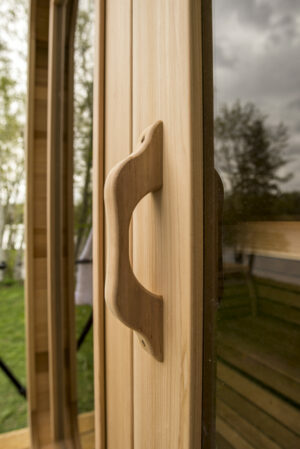 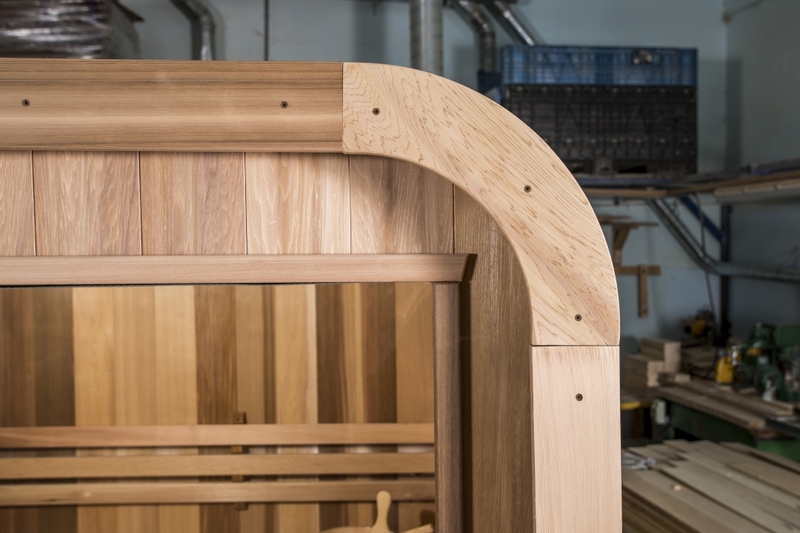 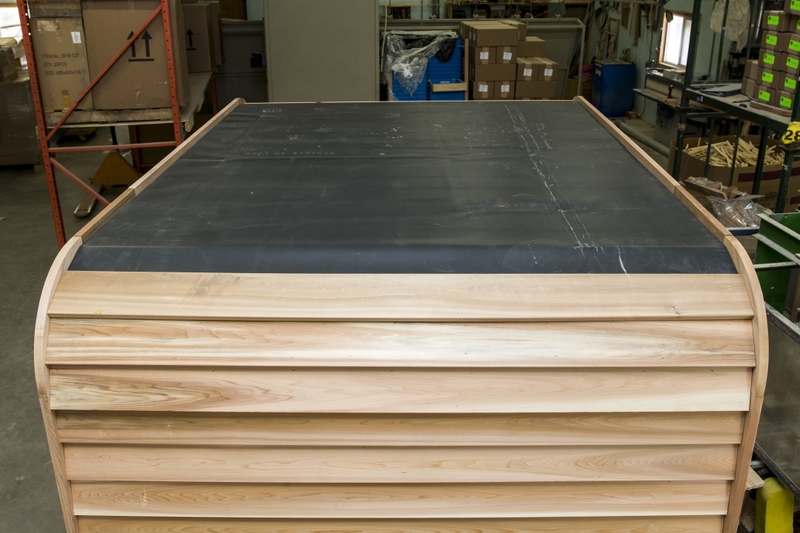 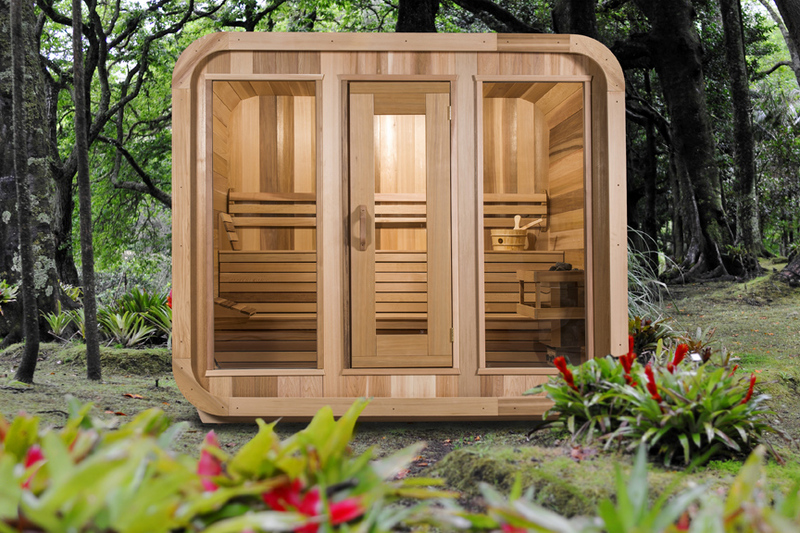 The gently rounded corners give added appeal and lots of space for the interior of the sauna. 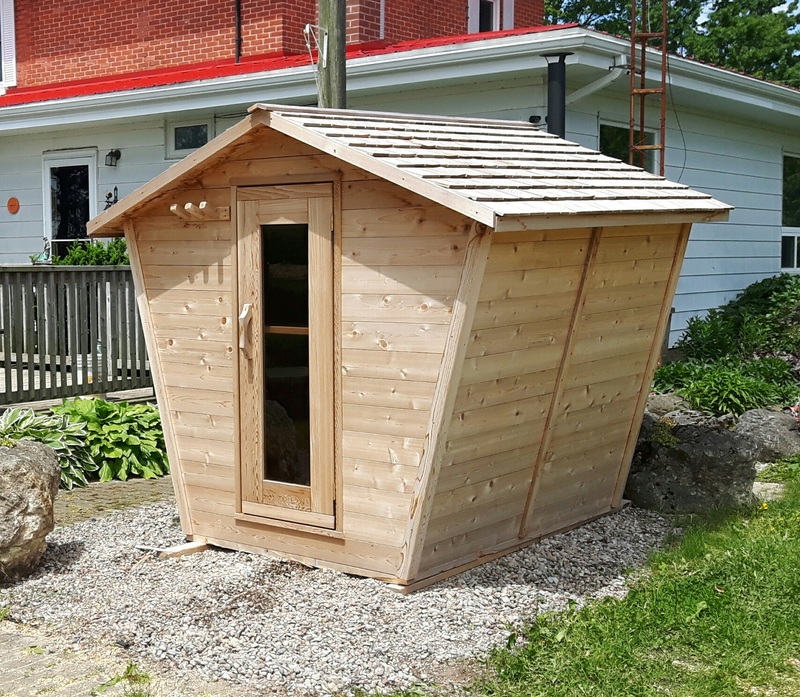 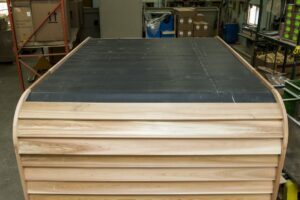 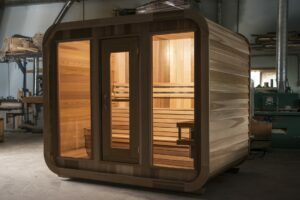 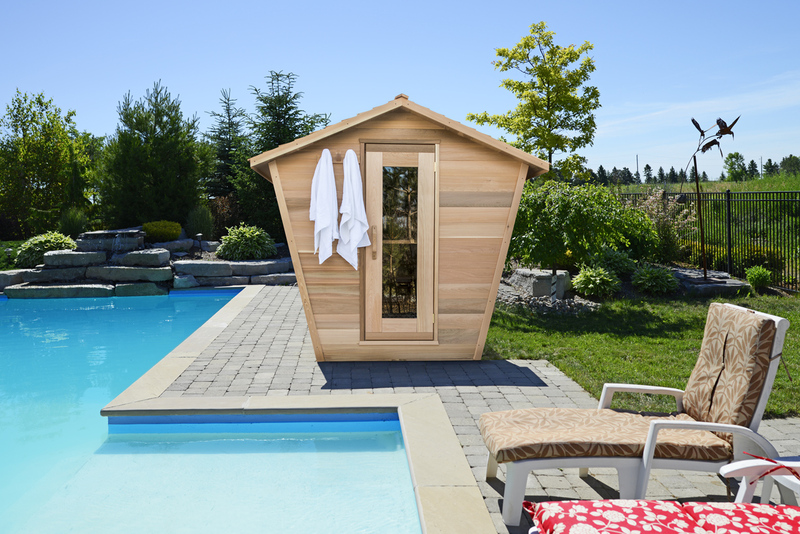 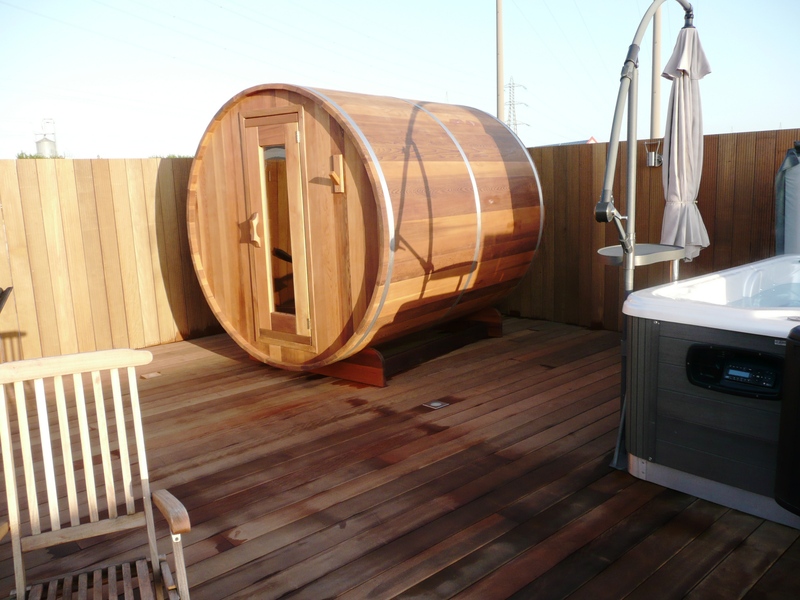 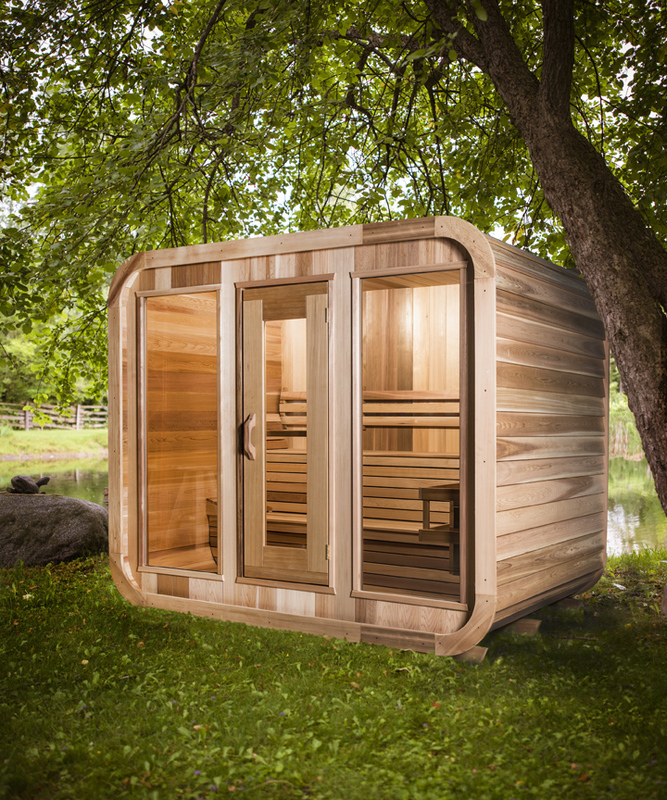 Handcrafted in Canada with either Western Red Cedar or Knotty Cedar you will enjoy many years of enjoyment in this sauna. 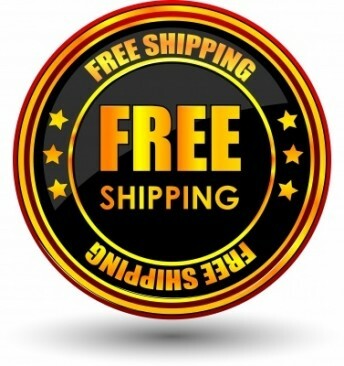 Enjoy using it in the great outdoors in all 4 seasons.